Strange visa and immigration rules, which is one common feature that all countries in the world equally share, ensured that I could not get out of United States in time for my traditional off-shore summer vacation. One of the few places that was left in US where I can spend a fortnight without having to bump into a "been there done that" region was Alaska and hence Alaska ended up being my destination of choice for the summer of '03. Alaska is a very big state. Its wilderness area alone is more than the entire land area of west coast states of the mainland US put together. Therefore, there was no way we could have seen all of it in a fortnight that we had set aside for our trip. It was hence decided that we should just spend a week each in two of the nine huge national parks of the state. The decision making party (or in other words my travel partners) included my college mates, Kartik, Praveen and my office mate, Raman. The two parks that won the votes were Denali, easily the most famous of the nine, and the Gates of the Arctic, one of the lesser visited ones. Finally, after about 6 months of planning, all of us met each other in Fairbanks (closest big city to these parks) on a Saturday midnight with the sun shining brightly in the sky. We did not spend enough time in Fairbanks to get a full feel of the city, but from whatever little we gathered, we realised that it did not have much to offer to a tourist. The only place we had time to visit was the Ice Museum. The Ice Park during march might be a sight to watch with the artwork glowing under coloured light, but the museum itself was a big letdown. For $8, all we were shown was a half hour video presentation of still photographs and a small room filled with a few sculptures. 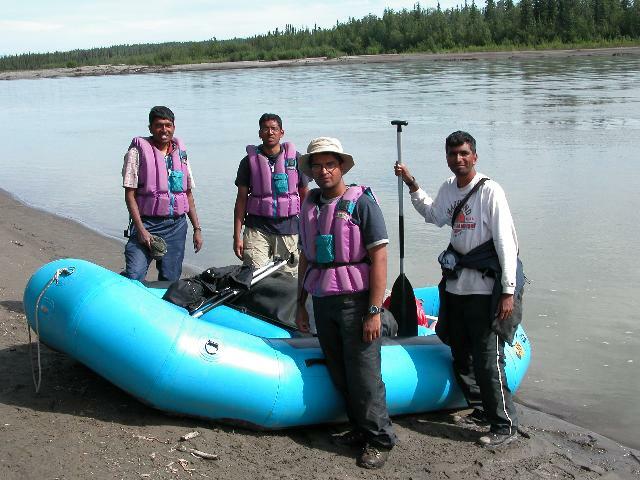 At the end of our park visits, thanks to our mad rowing in the Gates, we had a day and a half to spare to explore more of Alaska. We decided to drive along one of the paved scenic highways of the state, which aren't many, by the way - thanks to lack of highways and not the lack of scenery. Richardson Highway to Wrangel-St. Elias National Park happened to win the vote. It was just intended to be a scenic road trip as there was no way we could have knocked the largest national park in the US in a day - in fact it is larger than the top 20 parks of the lower 48 put together! However, we weren't disappointed with the outcome. 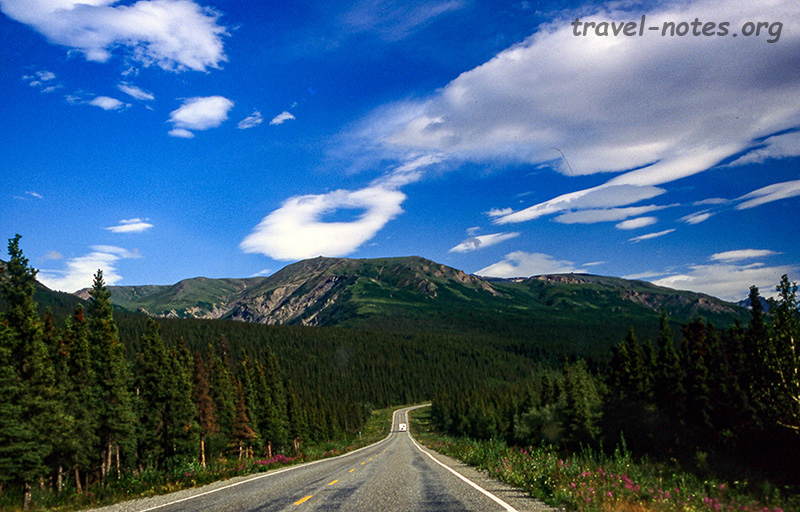 Richardson highway is easily one of the most scenic routes in the country. 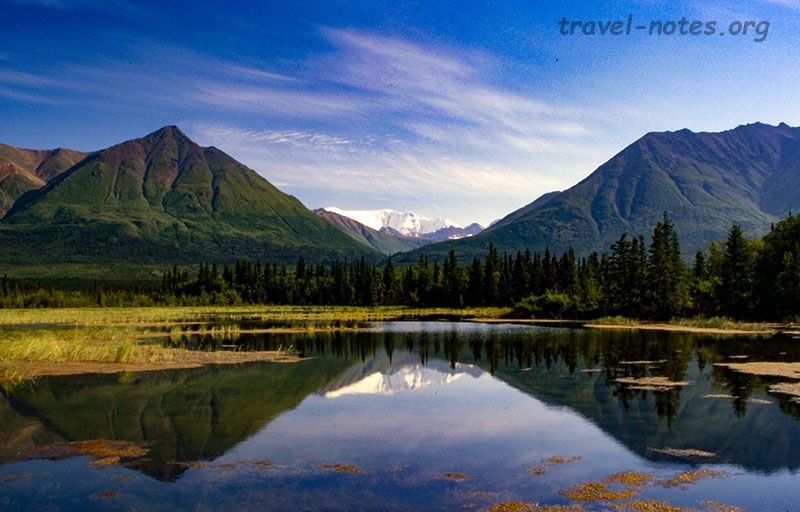 It cuts right through the majestic Alaska Range and offers stunning views of the park's peaks. Strangely enough, we found the road to be much more scenic than either the Denali or Wrangell-St Elias' park roads. Wrangell's park road in fact did not offer us any views of note. Unless you are planning to do spend some time in the park, driving 6 hours on the unpaved park road isn't worth the effort. On a final note, adapting a quote from the NPS brochure, "Alaska is just incredible. You have to see it to believe it and even then you wont be so sure." It was indeed hard for me to believe what I saw and experienced as I was making my way back to civilisation and as darkness set on us for the first time in fifteen nights. Click here for more photos from Alaska Railroad and Richardson Highway.